We were so tired from the first two days that our third morning in Rome was just spent packing our things after breakfast. Then we went to the train station to go to Florence. Armed with our Eurail pass, we only took a regional train to avoid paying extra, so our travel time was twice as long. We still treasured our train travel since it was one of the things we wanted to experience in Europe. 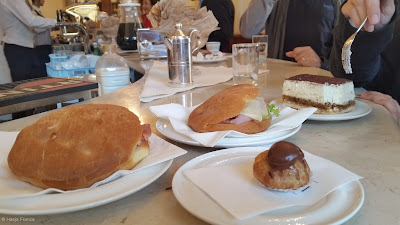 We arrived in Florence by 5pm, and we were famished so we had a light snack. 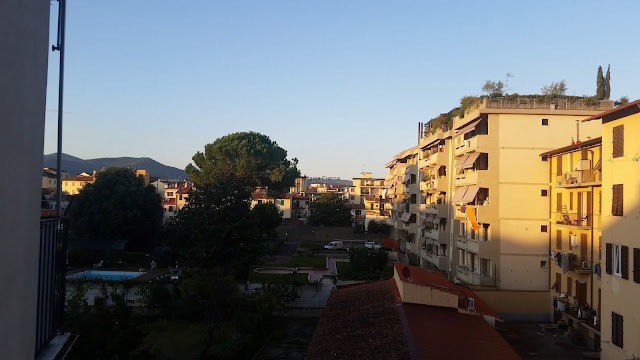 We were supposed to go to the Lantern festival in Ricoleta, but the bus took so long to arrive and we were all too tired, so we just went back to the apartment and slept. But not without buying gelato from the little gelateria around the corner! Some might call sleeping in a waste of time, but we needed to conserve our energy for the rest of the trip. And we all badly needed sleep anyway. So that’s our Euro tour day 3. Since our second day in Rome, we’ve been touring with a 30-page itinerary pamphlet I’ve prepared. It was such a joy to see my family poring over the tidbits and notes of distinction I’ve researched for every location we visited. And whenever I saw their smiles whenever we arrived at our destination, all the months of preparation were worth it. We went to Santa Maria Novella for their morning mass because it was Mama Mary’s birthday and my mama’s birthday too. Since the mass only started half past 8am, we walked around, looking for a cheap cafe for breakfast. Florence is the only place where I ordered my first ever cappuccino, and found that Italians serve the perfect cup of coffee. My small cup was only 1.50 euros, and worth every sip. I only needed to add some sugar and milk, and I had the best cup of coffee I’ve ever in my life. Until I went back to Manila, the taste of Italian coffee still haunts me. Afterwards, we went back to the plaza and sat on the marble chairs outside, enjoying the sunshine while waiting to be allowed to go in. Santa Maria Novella is the first great basilica in Florence, and included stained glass windows by Filippo Lippi and other artists dating back to the 14th and 15th century; the Nativity scene above the door is by Botticelli. 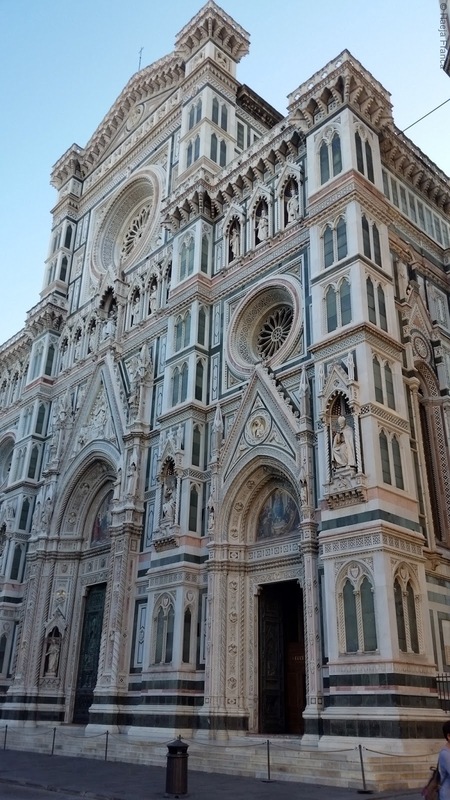 Lastly, Santa Maria Novella’s duomo is that duomo you see in postcards and whatnots of Florence. Florence holds a special place in my heart because 1) I wouldn’t have visited it if my sister didn’t want to go wine tasting in Chianti, Tuscany, and 2) Because the choir that sung during the September 8 mass was so excellent, I felt like angels were singing to me. I even came up to them after the mass, thinking they were an opera group, but nope, the guy said “just” the choir. I wish I could sing as beautifully as them. They were so amazing, I wondered why they don’t join those singing competitions on TV. But as much as I enjoyed the choir and attending the mass in Italian, I was pretty sad to see such old priests. Where are our young priests? I wondered for how long they could still live, and I felt so sad for the Catholic Church. 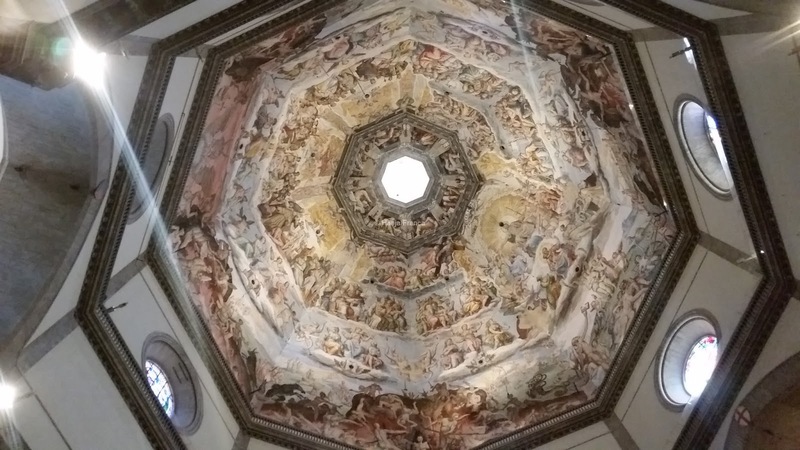 Before we left, I took a quick snap of the Last Judgment fresco of Vasari, but sadly, my picture looks so washed out. On our way to the train station, we passed by Caffe Scudieri (since 1939!) and ate some of the most delicious pastries I’ve had. Ugh, Italy, my mouth waters just thinking about your food! 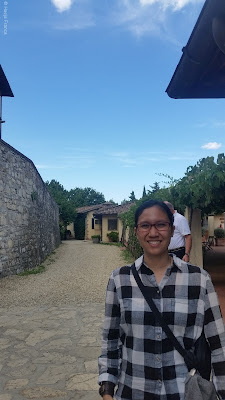 After lunch, we took the bus to Chianti. The bus to Chianti is in the building behind the Firenze train station. Not a lot of people know where it is, and there’s no signage. 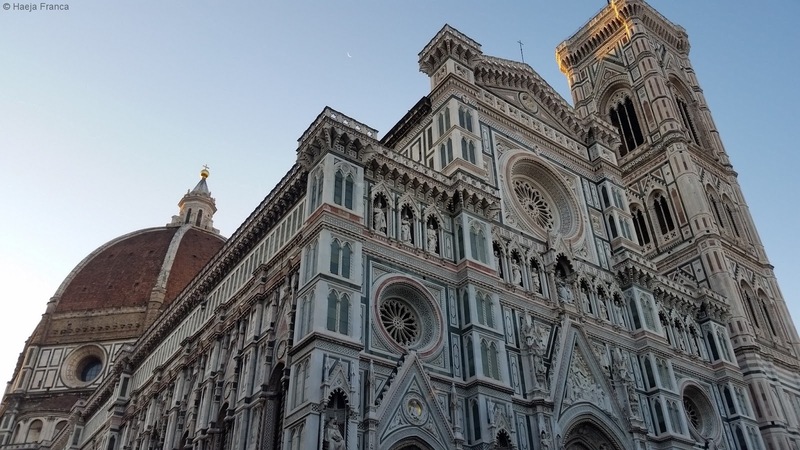 It’s along the street of the church behind the Firenze train station, and you will cross a tram. Again, Florentinians didn’t speak English very well, and I had to speak French. 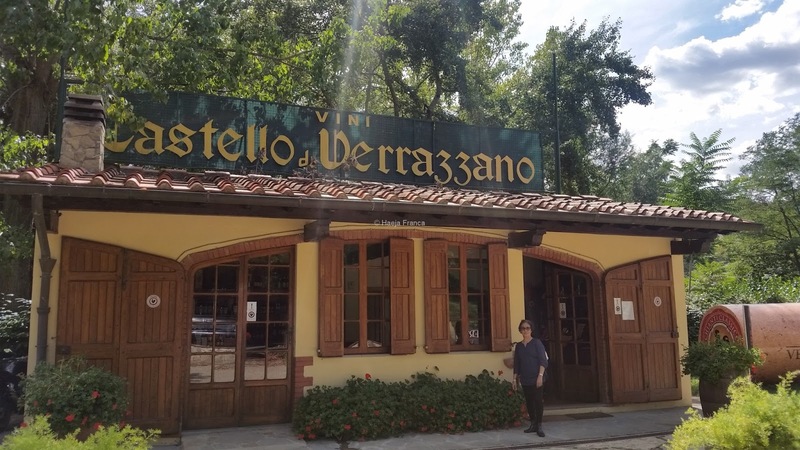 I was so nervous to talk to the bus driver, and if I had been sleeping, we would have missed the Castello di Verrazzano stop. Instead of getting down at Greve like the winery instructed, we got down a few steps away from their wine shop, which is at the foot of the winery and very visible along the road. It was a good thing I didn’t pay any reservation beforehand because we had to move our wine tasting in the afternoon because we got delayed in the morning, trying to find the bus station. I just called them via the payphone (there’s a payphone under the Firenze terminal station and a call costs about .80 to 1 euro for five minutes) and rescheduled. I chose the Castello di Verrazzano because the other tours were too expensive for us and didn’t fit our schedule. 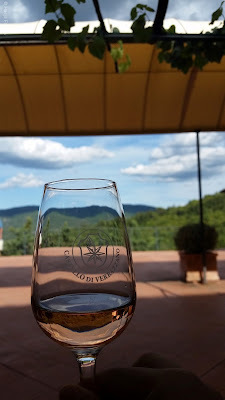 The reviews of Castello di Verrazzano’s wine tasting tours were also pretty good. As we didn’t have our own transportation, going to only one tasting was the best deal for us. When we arrived at the wine shop, we asked the wine seller to have us picked up (for free) because it was too hot to walk up the mountain. The only tour available was their wine tasting with a few slices of salami and cheese, for 16 euros. We had a very good tour of the winery’s history and saw huge barrels of wine, taller than me! Then we got to the good part, which is the reason why everyone went there! We were given three wines to taste: their Rosé di Verrazzano IGT, the Chianti Classico DOCG and the Chianti Classico DOCG Riserva. 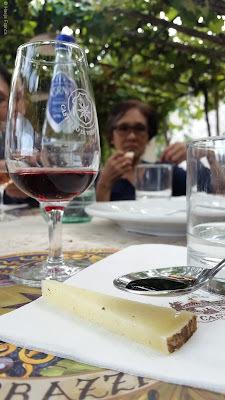 We were also given their own salami called Sbriciolona grevigiana, as well as a delicious slice of pecorino (cheese) with Balsamico Verrazzano. Since I work with a wine magazine, I was really looking forward to the wine tasting. 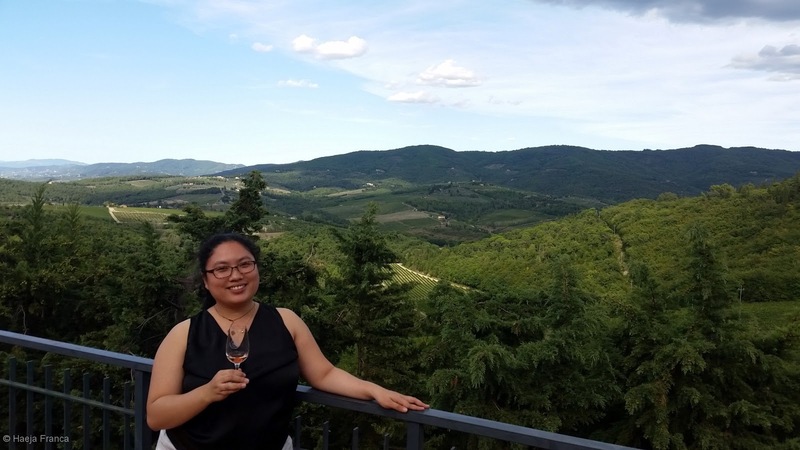 Our tour guide taught us how to appreciate wine and distinguish some ingredients, and by the end of the tour (which lasted about two hours), I was feeling very appreciative indeed! Balsamic vinegar on cheese? Yes, please! I know what you’re thinking: vinegar on cheese?! If the balsamic vinegar is the authentic kind (which is sweet and not too sour), then yes, please. I don’t like vinegar, and I vomit at the smell of it, but I gobbled up two slices of cheese with vinegar. It was just that good. Paired with their rosé, of course. 1. 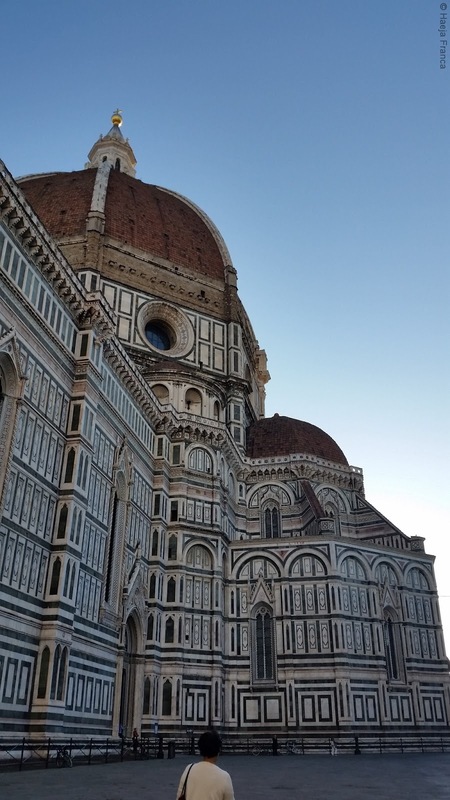 Florence has one of the cheapest Italian-made leather shoes I’ve ever found, and there are a lot of beautiful shoes stores around Santa Maria Novella. The prices in these stores are about half of the pricing in other parts of Europe. 2. If you eat in cafes, food and drinks are cheaper and has no service charge if you eat “by the bar”, which literally means you use the counter top as your table, instead of sitting down at one of the tables. 3. Travelling by bus? Don’t forget to bring a copy of the times of the buses, and to buy your return ticket at the station.